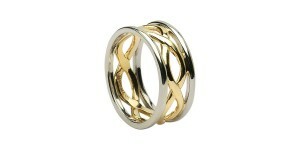 These Celtic Knot Inifinty Rings portray two unbroken loops that intertwine and are inseparable from each other. 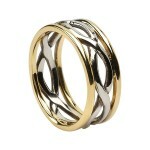 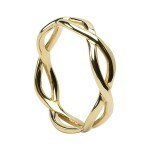 They symbolize the never-ending cycle of life with their interwoven patterns that have no end or beginning. 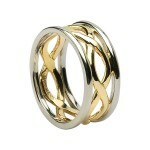 Available in Sterling Silver or Gold, these handmade jewellery rings symbolise this meaning in its truest form.